Our Team - Invest West Management, LLC. Founder of Invest West Management, LLC formed in 1979. Steve earned a BS Degree from Oregon State University. He has an extensive background in the real estate management industry, holding a professional CPM® designation. Steve has served on numerous trade association committees and directorships. He has been an active member of IREM (Institute of Real Estate Management), participating on both the local Chapter #29 level as past president and on the national level as Regional Vice President for Region 12. Steve has spent over 20 years promoting the IREM ethics classes and serving in all capacities on the IREM national ethics and discipline committees and boards. Jamie began her career in Property Management in 2005 where she assisted with a major rehabilitation of a 280 unit apartment complex in the Seattle area. In 2008 Jamie relocated to Clark County and continued to gain experience in the industry working as an Assistant Community Manager on 400+ single family homes while also assisting the Association department for the firm. Over the last several years she has continued her education and achieved her Washington Real Estate Brokers License, CMCA, AMS and CAMP designations. Today, Jamie is currently a Community Manager in the Association department, managing Associations in both Washington and Oregon. She is a member of OWCAM and CAI. Jamie also heads up the Disclosure Department, handling all escrow related inquiries and transactions. Melissa joined the firm in 2008 as an Assistant Community Manager to the President Chris Barber. She came with 10 years of residential and commercial management experience. She excelled and quickly transitioned to the Community Manager position. 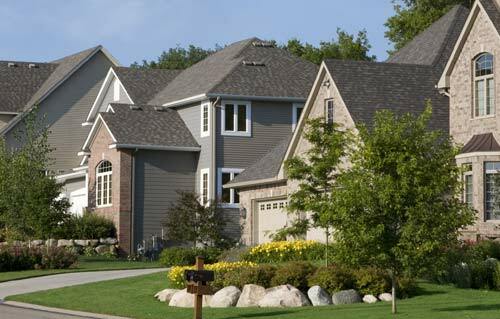 Melissa has managed a diverse portfolio of homeowners associations throughout Oregon and Washington for over 15 years. Melissa has helped navigate several communities through legal proceedings including a multi-million dollar condominium construction defect case. Melissa currently holds a CMCA designation. She is also a Member of OWCAM and CAI. Tovia has over 25 years of property management experience. She started her career managing multimillion dollar apartment communities focusing on resident retention and revenue growth. She has completed several major rehabilitations, enhancing investments for remarketing. Tovia moved to the northwest and has been managing Associations for over seven years in Oregon and Washington. She has managed diverse portfolios including single family, townhome, condominium and mixed use communities from 21 to 440 homes. Tovia has worked with developers and builders setting up Associations, including reviewing documents and educating sales and marketing teams on Association business and responsibilities. She has a successful record of negotiating smooth transitions at turnover maintaining rapport and relationships with owners and developers. Tovia is a member of CAI and OWCAM. Sumiko Duarte came to the Northwest and joined the firm in 2014 after beginning her property management career working with a large HOA portfolio on the East Coast. She has extensive experience managing several types of common interest communities. Upon joining the firm she quickly earned her CMCA designation through NBC-CAM/CAI and her CAMP designation through OWCAM. Kris was born and raised in Hoquiam, Washington and relocated to Southern California in 1995. Kris began his career in community management in 1998 as an Assistant Community Manager and excelled to Community Manager within six months. Kris adds twenty (20) years of diverse portfolio community management to the Invest West Management team. Kris achieved the California Community Association Manager (CCAM) designation from California Association of Community Managers (CACM) in 2003, and is currently obtaining the Certified Manager of Community Associations (CMCA) and Association Management Specialist (AMS) designations with Community Association Institute (CAI). Aly was born and raised in the Portland Metro area and joined the Invest West Management team in 2014 as Administrative Assistant to IWM’s HOA department. Since then she has honed her skills in customer service and broadened her knowledge in Association Management and currently serves as an Assistant Community Manager. Aly continues to strive towards expanding her knowledge to better serve our clients, earning both her Community Association Management Professional (CAMP) through OWCAM and Certified Manager of Community Associations (CMCA) through CAI. A Vancouver WA native, Nancy relocated to Alaska and became an association manager in 1990. As a jack of all trades, she’s performed every office function inherent to association management with great success. With a wealth of experience and a strong understanding of the bigger picture, Nancy provides vital support to our management team. Accomplishments include the instrumental development and standardization of association management in her home market of Alaska. Nancy returned to the Northwest in 2013 and continues to serve community associations in a collaborative capacity. Amy joined the Invest West Maintenance Team in 2002 bringing 10 years of General Construction and Maintenance experience with her. She has provided 14 years of maintenance support for community associations in Oregon and Washington. She manages the IWM team of Maintenance Technicians. Trish Short has a BS in Psychology from Boston University, an MBA in Human Resources and a graduate certificate in Accounting from Keller Graduate School of Management. She has over 15 years of accounting experience. She is responsible for full cycle accounting for a large portfolio of homeowners associations. Pat has over 20 years of corporate and small business accounting experience with over 10 years in Association accounting procedures for Oregon and Washington. She has experience with associations that have diverse financial needs. Educated in the Generally Accepted Accounting Principles, also called GAAP or US GAAP. Education: Portland State University, Math and Science.